Oh yeah. That feels nice to finally have in my hand. This past summer I harvested some wild yeast off of some berries in the bush. Wild Yeast Isolated covers the back story. The beer came out quite pleasant. Notes of honey dew melon, poached pears, banana, green peppercorns, clove, cardamon, sage and light citrus. Finishes dry with a white wine/dry mead like quality. First fermentation had an apparent attenuation of 96%. Flocculation was medium/medium low. Alcohol tolerance so far is happy at 7 ABV upper limits to be tested still. Ferments happily from 66-77 more ranges to be tested. This weekend is going to be brew 2 with this yeast. This batch will be a Belgian pilsner base with some Munich and Melanoidin. Bittering with German Magnum. This time around because of the honey dew flavours I am going to use some German Huell Melon hops at flame out and dry hop time. Ale will be named Melon Head Gildemeester. The barley wine in chugging along just fine right now and will be oaked this weekend. The black NEIPA hybrid recieved it’s final dry hop addition and will be packaged this weekend while the Melon Head Gildemeester is being brewed. Aside from the brewing schedule there are 2 up coming competitions I will be entering. first is a small group competition called the “Winter Warmer” happening early February. 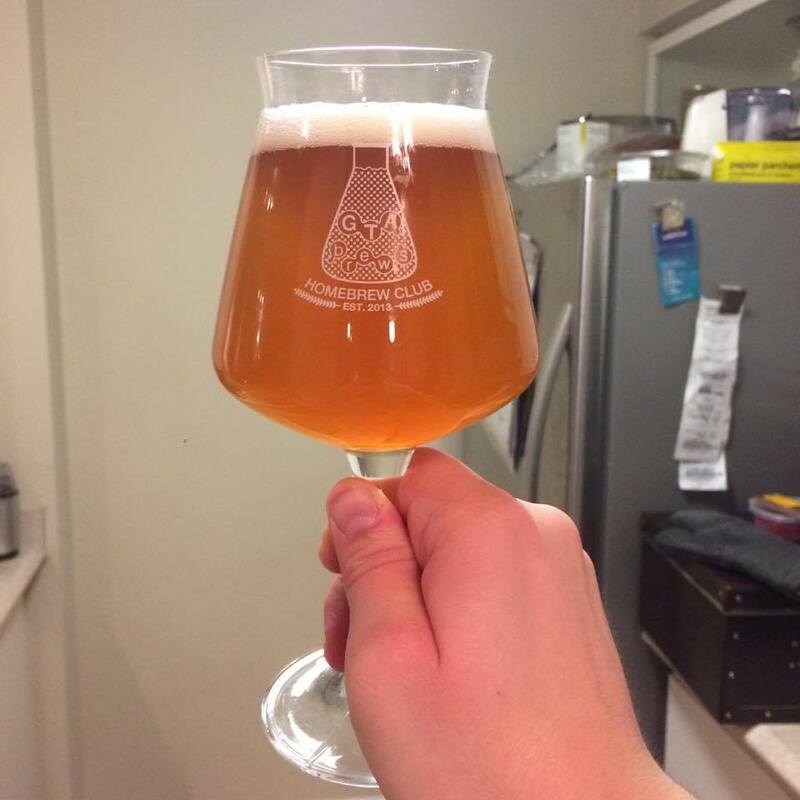 I am mainly just looking for feed back here on 3 brews in this one. I have already entered them as 16A, 21B (Black Imperial) and 25B (Standard Pale). The second competition is a Great Lakes Brewery and Short Finger Brewing Co. collaboration called “SFBC X GLB HOP SHOP IPA CHALLENGE”. As from the name you can guess its only a competition for IPAs. Again I have 3 submissions all that are yet to be brewed. 21A with a NEIPA build, 21B (revised Black Imperial) and 28A (21A NEIPA build fermented with a unique Brett courtesy of Escarpment Labs.). After that it is back to regularly brewing. 02/13/17: Beer won 3rd place in a local competition under saison category! Well by those hops you may have guessed it was an IPA! You’d be correct. Went for a NEIPA mashed up with a Black IPA. Style Nazis be damned as I will call it whatever I’d like. Pretty smooth brew day. 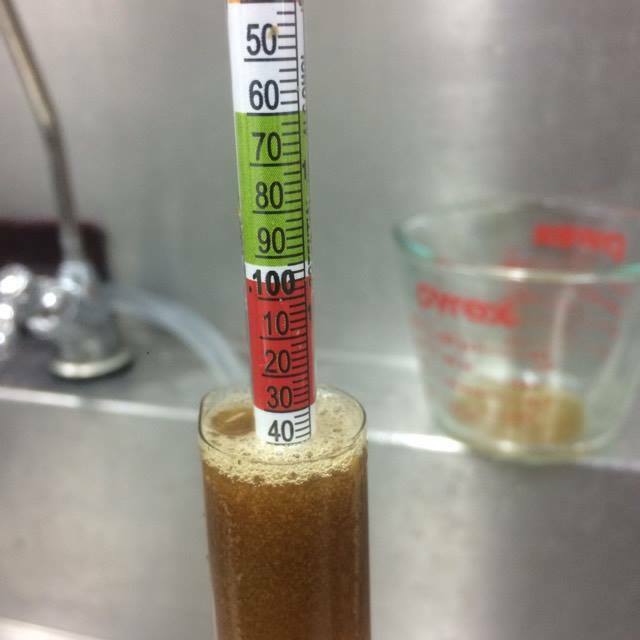 Over shot efficiency and boil off rate leaving me with 1/4 gal less than I was hoping for and 0.005 higher than anticipated OG. I thought of diluting with water but decided to head home instead and rest. Barley Wine is chugging away at 57% attenuation its 11.3 ABV in just 1 week! Next weeks brew is a toss up as my yeast starter isn’t err… starting. Will need to assess the yeast this evening and decide from there. That being said, next week is going to be a mixed fermentation from bottle dregs OR if that fails a Kviek. New year new brew. Enjoyed a night of 100% mixed fermentation ales ranging from local brew pub ales to the great Cantillon ales. Unfortunately due to legal issues my dregs jar was confiscated and those lovely critters are gone down the drain. Next time I will have to be more discrete. Call me Mr. Efficient. It’s a good thing my yeast starter was overbuilt! I will ferment this out and then sit on some oak for a few months before bottling for next winters enjoyment. This coming weekend is my first attempt at a “Black NEIPA” ish beer.